CUJO Review: Is It the Best Firewall for You? CUJO AI has stopped manufacturing its hardware firewall (CUJO device). However, it will update and support CUJO devices for a lifetime. Dimensions: 4.87 in. x 4.87 in. x 5.75 in. 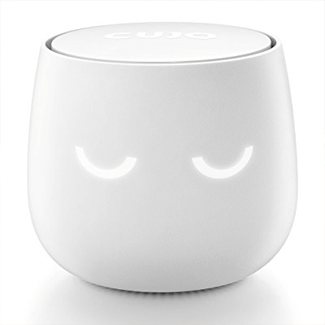 The CUJO Smart Firewall is an undeniably adorable piece of hardware designed to improve your in-home online security. As I’ve equipped my home with more internet-connected technologies like a smart thermostat, smart TV, and a few modern gaming consoles, I’ve also been wondering how I can protect these devices that traditional firewalls cannot. That’s where CUJO comes in. Once set up in your home, it automatically detects and monitors all of your connected devices at once, safeguarding your entire ecosystem of products from online threats. 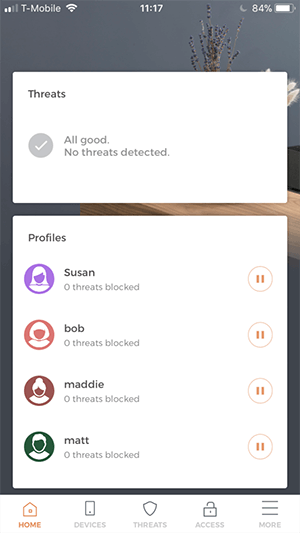 CUJO operates in real time, notifying you via its phone app every time it blocks a suspicious activity. And the cherry on top? It comes with an intuitive parental control feature that gives you complete control over your child’s online browsing. The bedtime and custom schedule features even allow you to block their internet access altogether. I spent some time with the CUJO Smart Firewall to see if it lived up to its intended functions. As expected with relatively new technology, I inevitably ran into a few quirks while testing the product at home but otherwise found it to be viable as an added layer of security to my in-home network. Let’s take a deeper look. Traditional firewalls consist of both software and hardware devices that help screen out online viruses, hack attempts, and worms that try to infiltrate your computer. But these traditional firewalls often don’t protect devices with the Internet of Things (IoT) in modern homes. IoT technology refers to the web of in-home devices that connect to your wireless internet—like your home automation system, smart locks, or smart speaker. These devices are particularly vulnerable, and when they’re hacked you likely have no way to know. CUJO addresses the firewall needs of modern device owners by analyzing all your IoT devices in real time to protect devices from malicious privacy attacks. It essentially pulls metadata from these devices and processes and monitors that information in the cloud. When CUJO detects a threat, it will preemptively block the source and send an alert to your phone. Monitoring screen time for all your kids can get a little overwhelming, but CUJO’s impressive parental control platform makes it simple. It also feels intuitive to have your parental control features on the same platform as your in-home firewall. In the app, you can set up personal profiles for anyone in the house and assign devices accordingly. From there, you can schedule internet access and restrict questionable content for each family member individually. I found the scheduling feature both useful and easy to operate. I was able to set custom schedules for each member of the house that either restricted certain websites or paused internet access altogether. In busier households, this could save parents a lot of energy trying to manage things like homework or bedtime for the kids. CUJO used to operate on a somewhat complicated subscription model, but it has since moved to a simple, flat fee of $249. The new subscription-free model gets you complete access to the CUJO and its features. If you order directly from the company, it offers a 30-day money-back guarantee. You can download the app for free on either the Apple Store or Google Play store. Is your browsing data safe with CUJO? While CUJO was doing its thing, I couldn’t help but wonder what kind of data it was collecting and where that information was going. Since data privacy is a big concern today, I was surprised the company’s collection policy was so hard to find and that the information I did find was sparse. CUJO briefly explains in its FAQ that it collects browsing data in the form of destination IP addresses but doesn’t share that information with third parties. Personally, I wanted a more concrete and transparent policy, but I did feel better knowing it wasn’t sharing my browsing data with other entities. Although the app notified me when it blocked an attack, I felt it could have shared a bit more information than just the time and device that encountered the attack. If I had known the specific website, link, or download that triggered CUJO to take action, I could have more proactively worked to avoid these attacks in the future. While I had no trouble setting up CUJO in my home, there’s an option in the app to call or video chat with the company’s support team should you run into any problems. The CUJO hardware is pretty simple, coming with nothing more than a power cord and an Ethernet cable to connect directly to your router. Once set up, CUJO immediately starts detecting internet-connected devices in your home. Within minutes, it had detected my smart TV, cellphones, computers, printer, and Chromecast. Depending on your living situation, this process can be a little invasive. CUJO was picking up people’s devices before they walked through the front door. And while I was at work, I could see whenever someone opened a new device back at the house. I didn’t notice any impact on our network speeds while using CUJO, but I have a relatively powerful Xfinity package and rarely encounter speed issues. Those with slower internet speeds might see a measurable dip when CUJO begins monitoring their devices. One worry I had while testing CUJO was how often it might overreact and block nonthreatening content. I can say after a few days monitoring 12 devices in my home, CUJO had no impact on our day-to-day browsing, and the few threats it encountered seemed legitimate. With each threat I received a notification informing me what kind of attack CUJO blocked (trojan, brute force login attempt, content spoofing site, etc.) and which device encountered the threat. The majority of CUJO reviews are positive. Many of the positive reviews cite an easy setup, quality performance, and an excellent support team. The negative reviews mostly come from users who experience hardware issues while setting up CUJO, with a few who noticed a drop in network speeds after setting up the device. Do we recommend the CUJO Smart Firewall? While CUJO isn’t ready to serve as a standalone security system for all your connected devices, it is certainly a welcome addition if you’re looking to strengthen IoT security in your home. 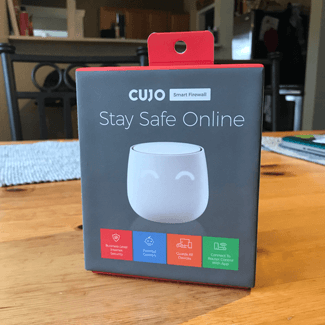 Despite being a relatively new technology, CUJO proves it can help protect your home without interfering much with your daily browsing. And if you have kids, CUJO’s parental control functionality would be an extremely useful addition to your home. If you already own a CUJO, we’d love to hear your thoughts in a comment below.